. إن الخدمات الممتازة وحسن الضيافة العالي في Magnums Airlie Beach تجعل إقامتك تجربة لا تنسى. هذه بعض الخدمات الموجودة في هذا الفندق: خدمة غسيل ذاتية, مرافق مخصصة لذوي الاحتياجات الخاصة, تخزين الأمتعة, واي فاي في المناطق العامة, مرافق للشواء. تتضمن كل غرف النزلاء وسائل الراحة والتسلية المصممة خصيصاً لضمان الراحة القصوى للضيوف. يقدم الفندق خدمات رائعة كمثل حديقة لمساعدتك على الاسترخاء بعد نهار طويل من النشاط والتجوال في المدينة. إن Magnums Airlie Beach هو خيار ذكي بالنسبة للمسافرين، فهو يوفر إقامة هادئة ومناسبة للاسترخاء. Although most people visit Airlie Beach as a gateway to the Whitsunday Islands, staying at Magnums is a highlight in itself. 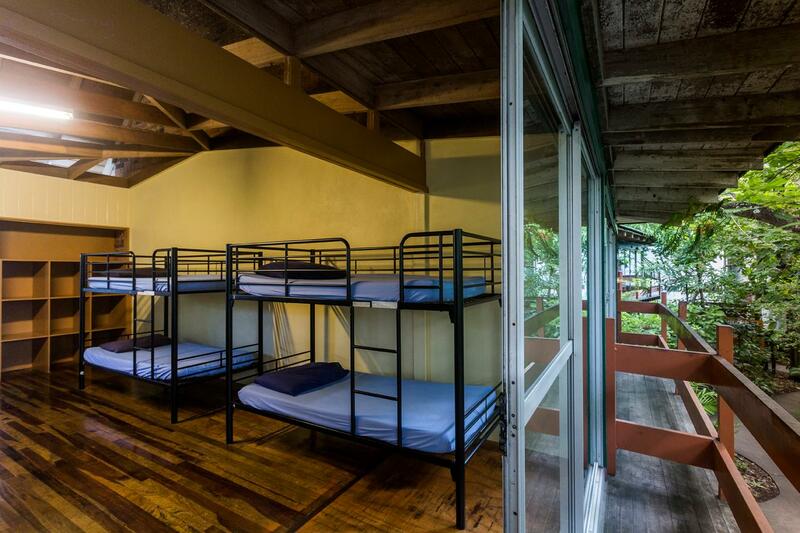 The backpackers consists of numerous wooden units spread within a huge tropical garden, not noticeable from the outside. Each unit consists of 12 outside-facing wood-constructed rooms, grouped in 3's with their own sharing shower, washbasin and toilet. A few communal kitchens are available, as well as laundry facilities. I stayed in a private room. It was certainly one of the smaller private rooms I have stayed in during my travels. Very basic for the money you pay. The shared bathrooms could have been cleaner. Not very nice. The room did have a fridge, kettle and cups which was a nice touch. Staff were friendly enough. So frustrating bag storage is only open 5 mins at certain points of the day (usually once an hour) and you have to pay to keep the bags in the cupboard. Location is great. Right in the main street and next to Woolworths. Hostel is really loud so wasn't great when you want an earlier night as you have an early start for a Whitsunday tour the next day. I'd be tempted to stay elsewhere next time but I am sure some people do really like this place. Just not for me. I find the accommodation is reasonable except for the noise at night. Good hostel, well situated in the Main Street, 1 minute walk from everything, especially Woolworth. 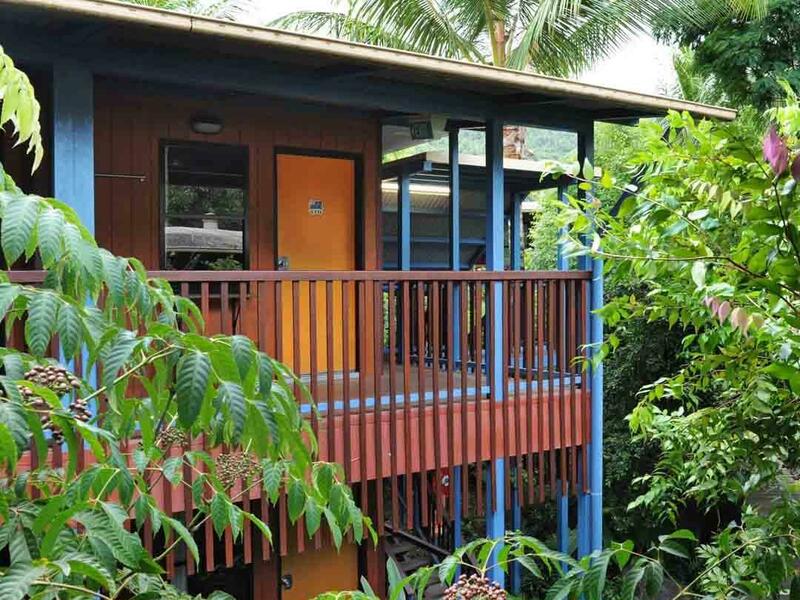 Very good value for money if you are 2 and want to have a private room compare to the other hostels in Airlie Beach. Staff is nice and you can book all your activities at the reception. Room clean and amenities for each building. Kitchen is well equipped. The only bad point is the WiFi which is only reachable from a common area outside. Thank you , we are grateful for your mostly positive review, more so we are just so pleased that Magnums and the Whitsundays has been a wonderful part of your journey We wish you safe and happy onward travels. Fantastic location with great facilities. For those traveling on a budget, this is a great place to stay. 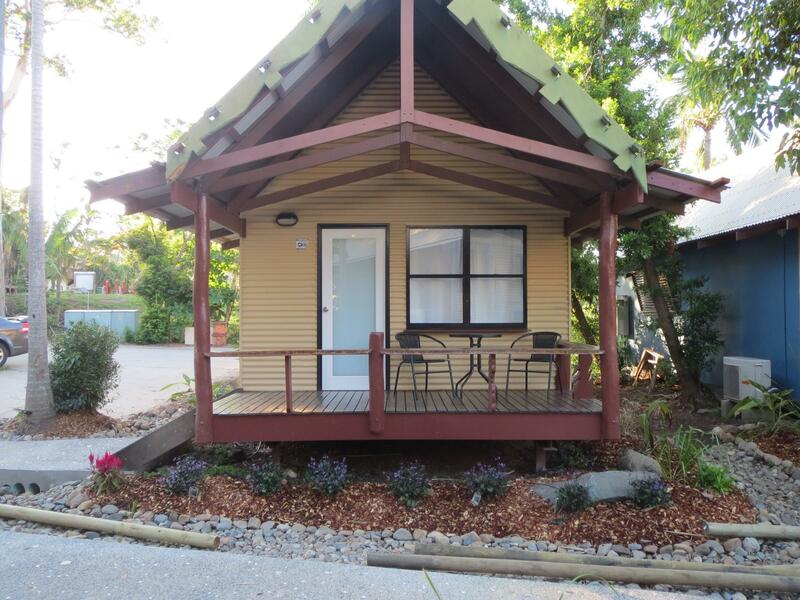 Located right in the centre of town and next door to a large supermarket and bottle shop. The kitchen facilities are great. We cooked lots of food during our 2 day stay here. Rooms were clean and tidy. Thank you Nicole, we are genuinely grateful for your positive review, more so we are just so pleased that Magnums and the Whitsundays has been a wonderful part of your journey – Please let us know if you are ever coming back to visit – we will lay out the red carpet! We wish you safe and happy onward travels. Stayed mon 9/4/18-fri 13/4/18. This hostel is great as it feels like being in a secluded rainforest. I was staying in a 8 bed cabin with ensuite shower and toilet. The cabin also had a small fridge and freezer. It was cabin number 78 across from the kitchen and laundry. The staff were very welcoming at check in. They have free valuables storage available at reception for guest use. You are also able to book any trips at reception. The hostel is on the main strip where the clubs are : boom club, mama Africa club. There also also pubs, shops and restaurants all along the strip. The supermarket Woolworths is round the back of the hostel. There is a short cut to get you there from within the hostel grounds. The lagoon is a few minutes walk away. 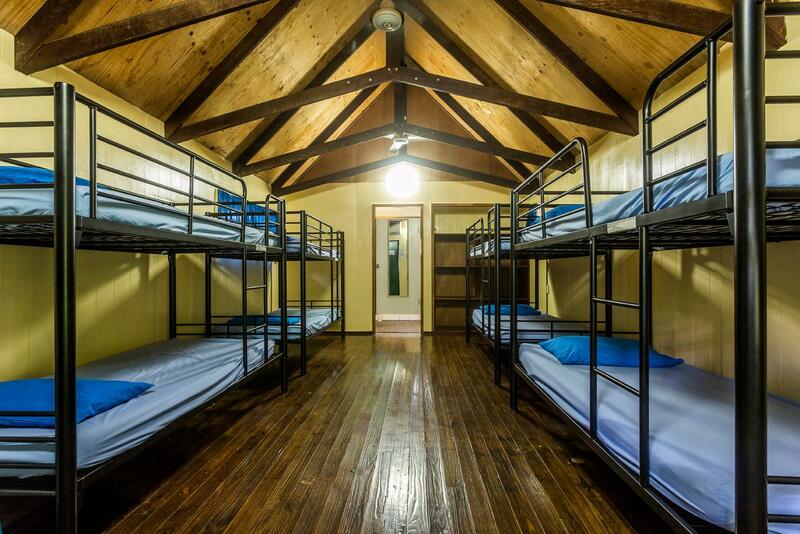 I would stay at the hostel again and I would recommend it to others. Thank you , we are genuinely grateful for your positive review, more so we are just so pleased that Magnums and the Whitsundays has been a wonderful part of your journey – Please let us know if you are ever coming back to visit – we will lay out the red carpet! We wish you safe and happy onward travels. I find the location and staff are superb. Just noisy at night due to live entertainment close by. Very near all local facilities, shops, bars etc yet quiet and no alcohol allowed on site. We had double room shared facilities, all clean & adequate. Wasn’t initially clear where you checked in it was at the activity desk. Thank you Fay, we are genuinely grateful for your positive review, more so we are just so pleased that Magnums and the Whitsundays has been a wonderful part of your journey – Please let us know if you are ever coming back to visit – we will lay out the red carpet! We wish you safe and happy onward travels. Thank you Tsai-Chun, we are genuinely grateful for your review, We wish you safe and happy onward travels. About 15 minutes from the bus stop. Clean, spacious room, air con could work better. Kinda party hostel- live music till late. Kind staff, well equipped kitchen. Maybe they should charged guests for a storage when on tour. Thank you Monika, we are genuinely grateful for your positive review, more so we are just so pleased that Magnums and the Whitsundays has been a wonderful part of your journey – Please let us know if you are ever coming back to visit – we will lay out the red carpet! We wish you safe and happy onward travels. We stayed here as a couple for 3 nights. It's a popular place and it's huge! Loads of spots around for wifi... outside bbqs etc. Right next to a supermarket too and the pubs/bars etc. Only problem with this place is the kitchen was always packed! We didn't even bother to cook our food in the end as seemed like a lot of people were waiting to use stoves etc. But overall nice place to stay! THANKYOU, we are genuinely grateful for your mostly positive review, more so we are just so pleased that Magnums and the Whitsundays has been a wonderful part of your journey – Please let us know if you are ever coming back to visit – we will lay out the red carpet! We wish you safe and happy onward travels. we stayed 2 days for the great barrier reef tour, the backpackers is well-maintenance and has all stuffs you need; and just right on the street, you can get food, cloth or souvenir in 5 min walk. great experience at here and will come back again. THANKYOU, we are genuinely grateful for your positive review, more so we are just so pleased that Magnums and the Whitsundays has been a wonderful part of your journey – Please let us know if you are ever coming back to visit – we will lay out the red carpet! We wish you safe and happy onward travels. Location was great and staff were lovely. My room's fridge wasn't cleaned and there was an old food left in it, room was stuffy but great aircon and fan for the hot days and nights. Also the toilet and shower were not cleaned properly or at least to a satisfactory level. Thank you Alexandra, for taking the time to leave your feedback. If our guests have issues with their room mates or neighburs, we have on call security to deal with this. Their phone number is located in your rooms. We hope that the Whitsundays has been a wonderful part of your journey. We wish you safe and happy onward travels. Thank you Esther, we are genuinely grateful for your review. I will pass on your concerns to our cleaning staff. We hope that Magnums and the Whitsundays has been a wonderful part of your journey. We wish you safe and happy onward travels. Hostel was good. The facilities and the location are great. The hostel offers luggage storage for 5$ when you do a Whitsunday tour. Only con was that there is nothing to hang up your clothes. Thank you Julia, we are genuinely grateful for your positive review, more so we are just so pleased that Magnums and the Whitsundays has been a wonderful part of your journey – Please let us know if you are ever coming back to visit – we will lay out the red carpet! We wish you safe and happy onward travels. The stay was ok, the room was dark whilst sleeping and we had enough space. Air con works well and the grounds around the hostel is pretty nice! However the2 kitchens desperately need new cooking hops or another kitchen entirely, as about 80 people using two kitchens isn’t enough. The WiFi is extremely slow in the WiFi communal areas, and we had to use McDonald’s WiFi instead!! It can get quite noisy at night at the bbq / communal area, before people head out into town. Thank you Haydn, We appreciate your feedback, we will use this feedback in a structured and methodical process to ensure we maximize the benefits to our future guests. We are dedicated to ‘getting it right’ . Magnums wishes you safe and happy onward travels.